Scope of Work: The Coton area is the main agricultural area of Vieille Case where farmers engage in planting of a variety of crops – bananas, plantain, root and tree crops and vegetables and livestock rearing. 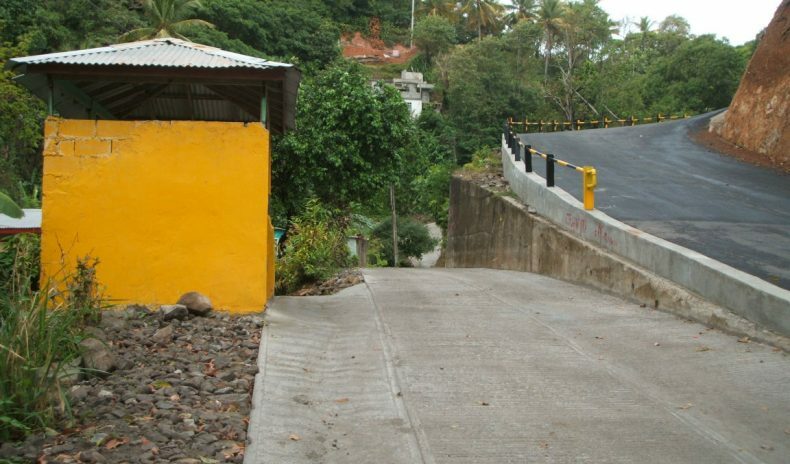 Persons from the village of Vieille Case needed an improved access to the village. This road rehabilitation project provides them with a road that is even and safe to travel. The farmers now have the ease of mobility and transportation of inputs and agricultural produce which will improve their agricultural activities and subsequently elevate their standard of living. As Consultants, SCL was responsible for providing engineering design and supervision of works where issues pertaining to design, works contract and technical inspection/ supervision will be addressed. The work included the design and construction of a combination of concrete slipper drains which will assist in handling storm water and earth drains at prescribed locations, in addition to the construction of a retaining wall which will serve as a safety measure to protect the road, its users and private/public property of the area from landslides and floods.